The brain is the core of all human functioning but at times when we get caught up in the daily stresses of being a parent, we don’t really think about how everything we do will impact our children’s brain development. We can perhaps all agree that being a parent is the biggest challenge. Yes, it is the greatest challenge but who said it’s not also the greatest, most rewarding experience? This article will provide you with a bit of brain science to start with. As we continue our journey together to uncover the most complex organ of the body and into the phenomenal development of the child’s brain. What is our brain made up of? First, how do you do what you do so well, such as reading through this text, lifting your arm, typing, smiling, speaking, blinking and all other actions you do without putting much thought into them? It’s your brain sending and receiving messages to the body. How does the brain do this? Our brain has messengers or brain cells called neurons that work together to transfer hundreds of thousands of messages to our body and back every day. The messages are transferred using electrical signals which ‘snap’ together the head of each neuron to the tail of another neuron across a small space called a synapse. Dear parent, Hold this thought, because it all connects to how your baby’s brain develops! How does our brain transport messages in the body? 1. The spinal cord:this coordinates many of our reflexes. It also is the route that the brain uses to initiate our movements and the pathway that sends sensory information from our sense organs to the brain. 2. The brain stem:which controls basic functions, such as breathing, heart rate, consciousness, blood pressure. While the brain starts developing before your child is born, most of the brain development takes place during the first 3 years of your baby’s life. This is known as the critical period because your baby is absorbing and learning a massive number of skills that will be internalized and processed throughout their lives. surely you’re familiar with the phrase “the child is a ‘sponge’ ” – that ‘sponge’ is in fact because the formation of neurons and synapses is fastest at birth; and this is why babies can soak it up like a sponge -. In fact, at birth, your baby’s brain will have reached 25% the size of the adult brain; and by the time your child is 3, 80% of the new brain cells (the neurons) will have already been formed. What makes every baby unique? Our babies brains look structurally very similar because they are all made up of neurons which form the different areas or lobes. So what makes each of us and our children completely unique as humans? Experiences! When the brain receives any signal, the signals eventually build and strengthen the synapses, which will in turn store as memory in their respective brain departments. Every single new experience creates new synapses – imagine how many thousands of new experiences a newborn is receiving within a short period of time; by the age of 3, your child will have doubled the number of synapses; this means huge amounts of stored experience. 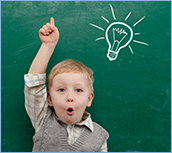 When our child has similar experiences, the existing synapses reactivate and strengthen the connections – this is why and how his/her brain learns through repetition. any stored information that is not reactivated through repetition will be lost to create new ones. 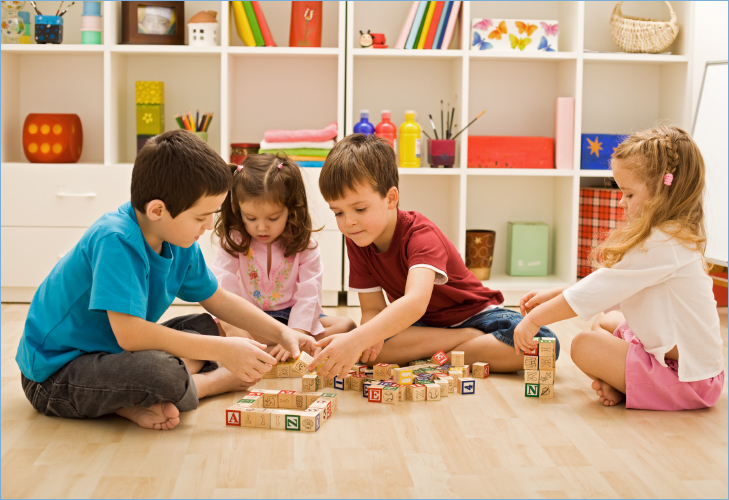 This clearly highlights the unique individual your child will become with their own distinct personalities; it is a time where your baby is shaped enormously by his/her experiences and environment, shaping very early on in life core skills and abilities. And remember, the more the child is exposed to the same experience, the stronger those synapses get. Temporal lobe: The primary function of the temporal lobe is to process things we hear to help in language recognition, memory storage - short and long term, speech, behavior, emotions, fear, ‘fight or flight’, retention of facts. 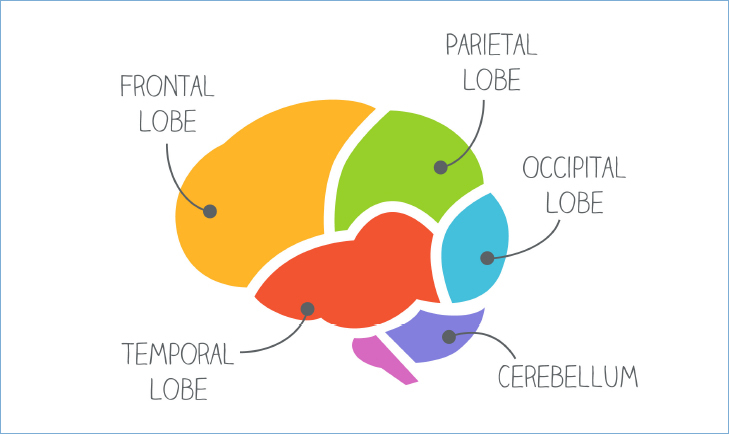 Parietal lobe: This helps process our senses such as taste, touch, temperature, pain, as well as spatial sense and navigation. Cerebellum: This controls movements such as balance, coordination, attention, and speech; ultimately, it balances muscular activity for movement to function smoothly. Play, Play, Play, It Goes a Long, Long Way..